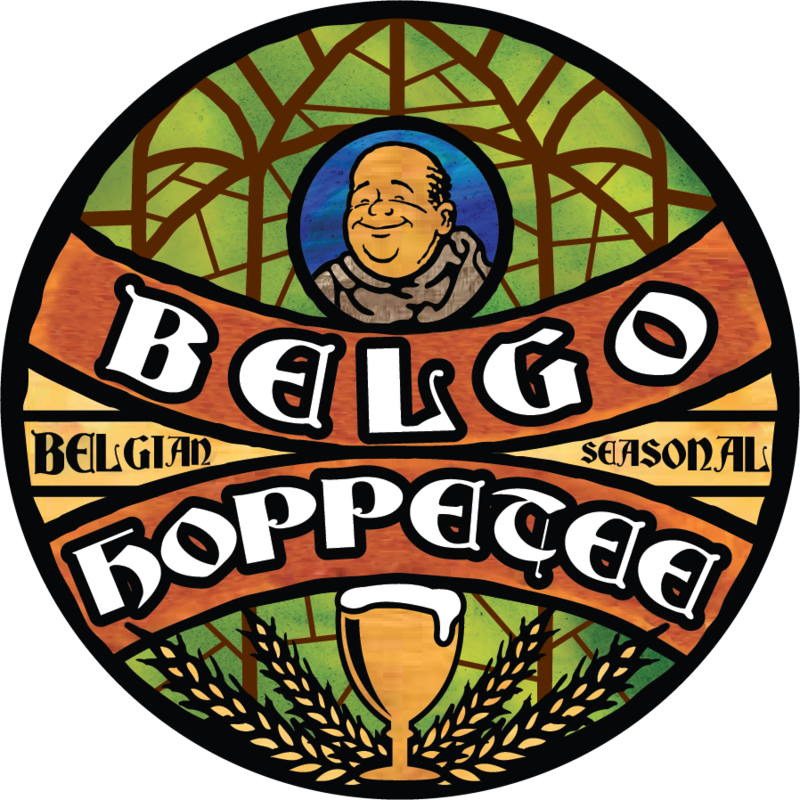 Belgo's are pale-golden unfiltered Belgian ales that rely on a American hop bitterness and flavor. 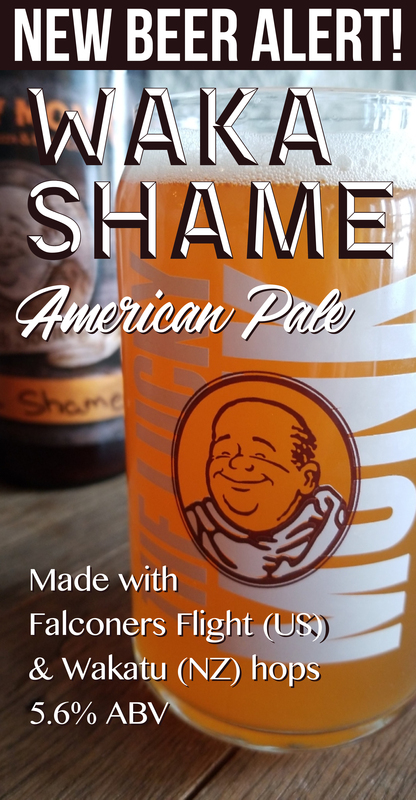 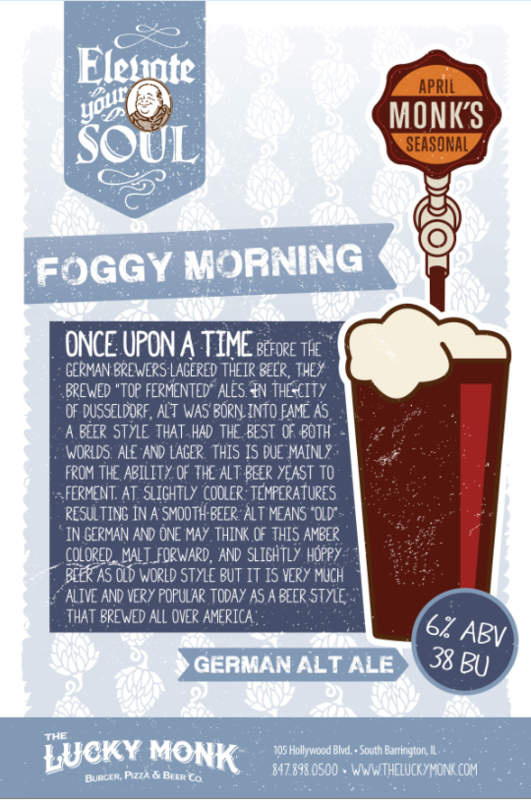 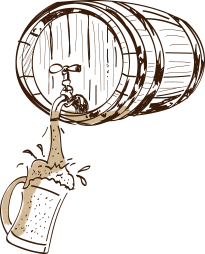 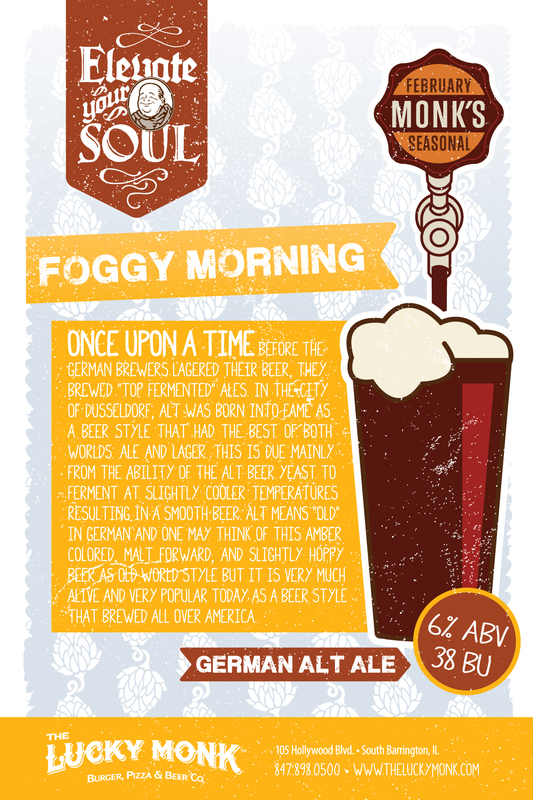 Come savor our Belgian/American inspired ale! 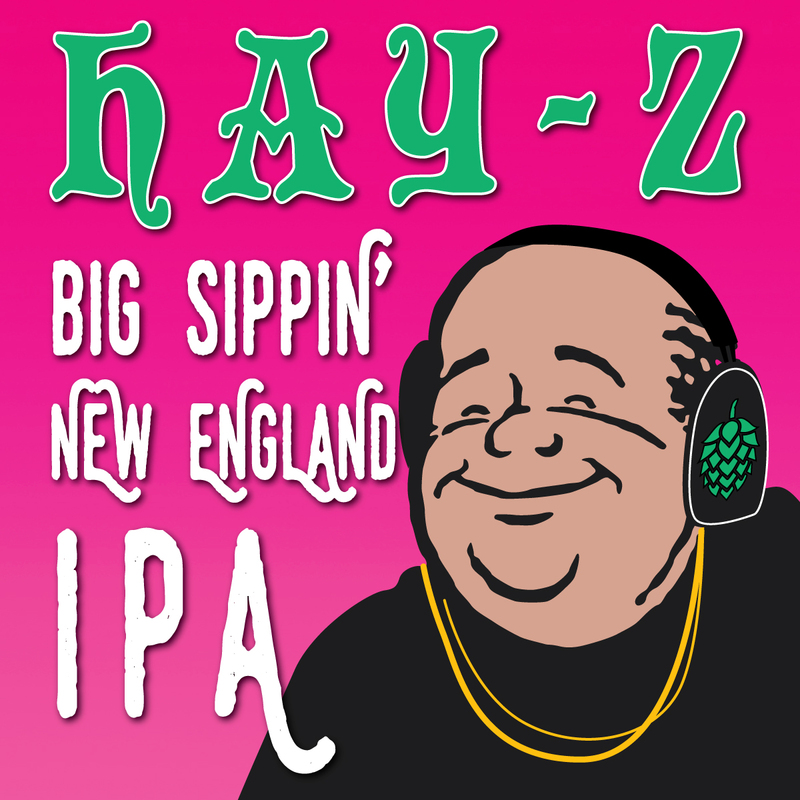 Our first EVER New England Style IPA! 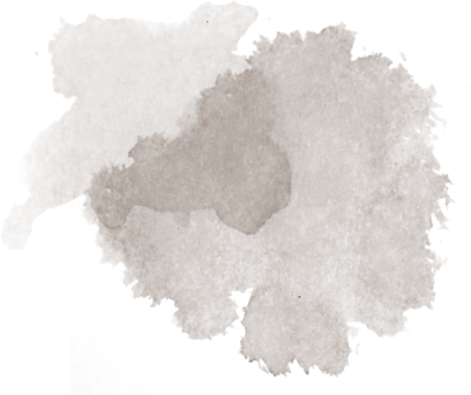 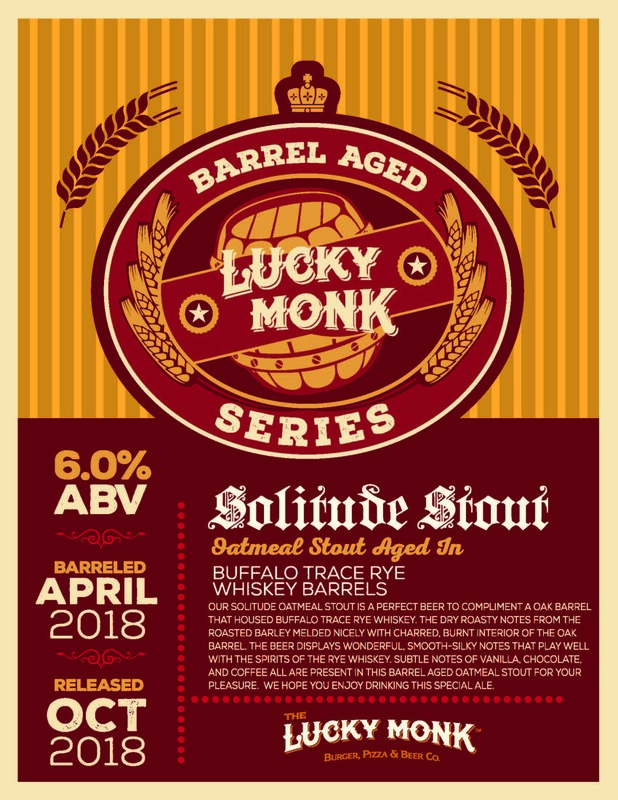 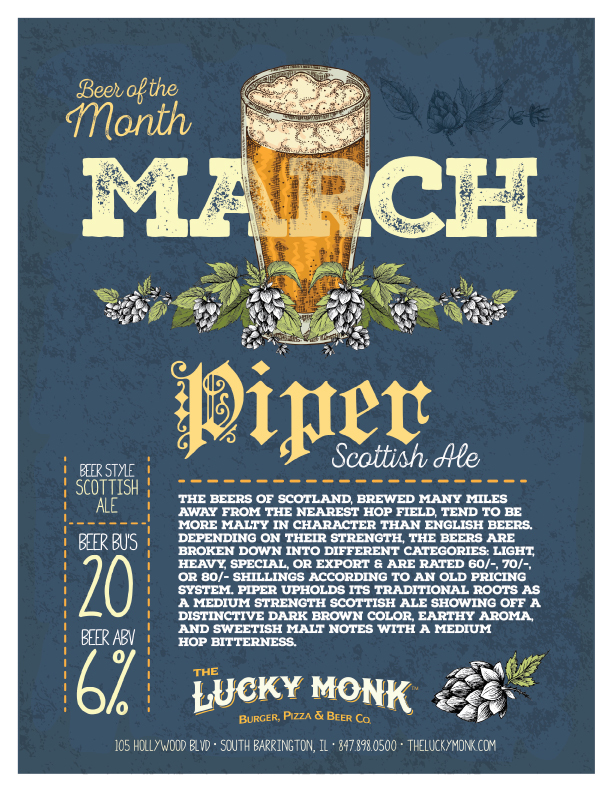 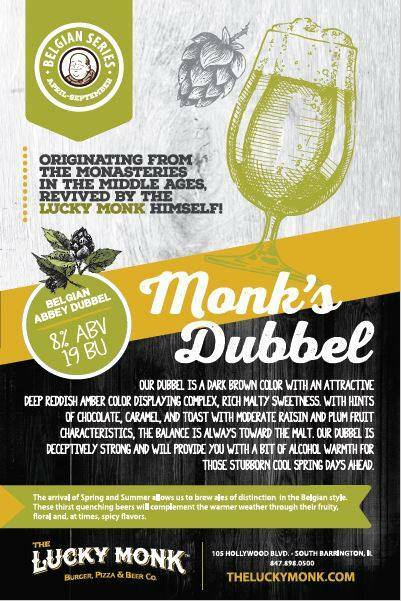 A BRAND NEW MONK BREW! 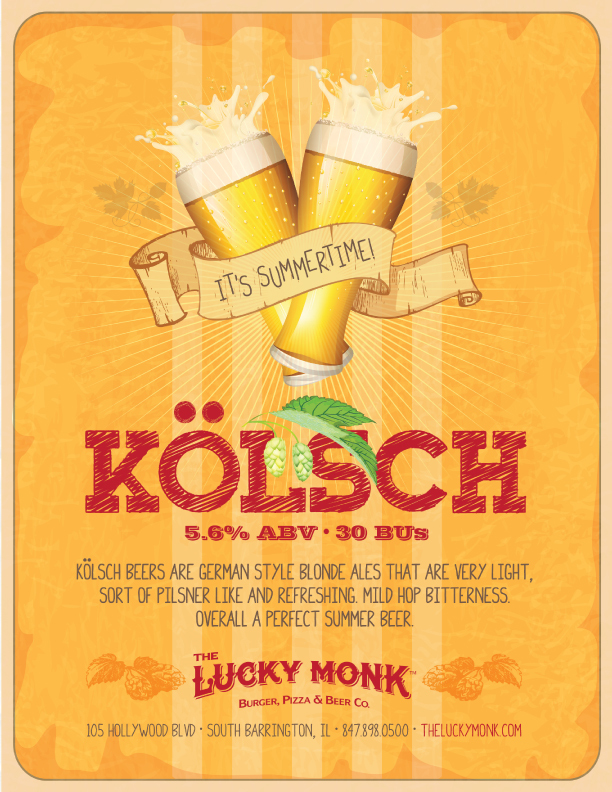 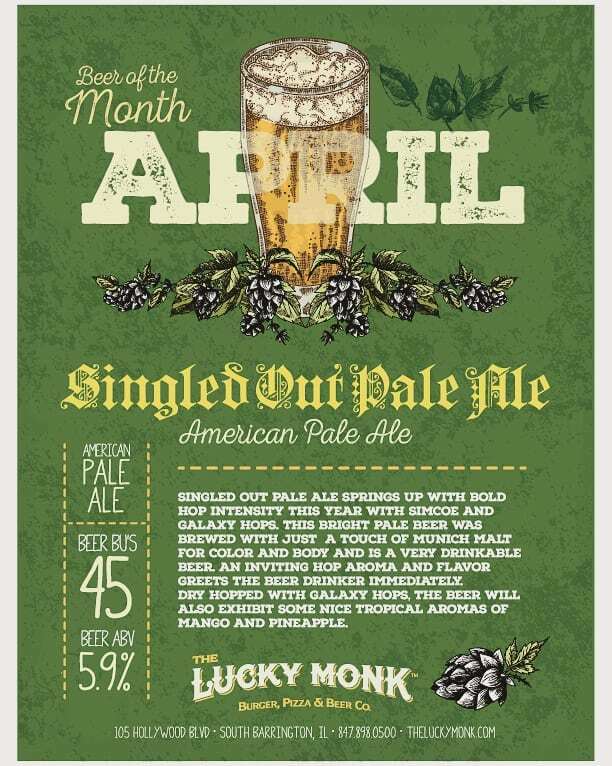 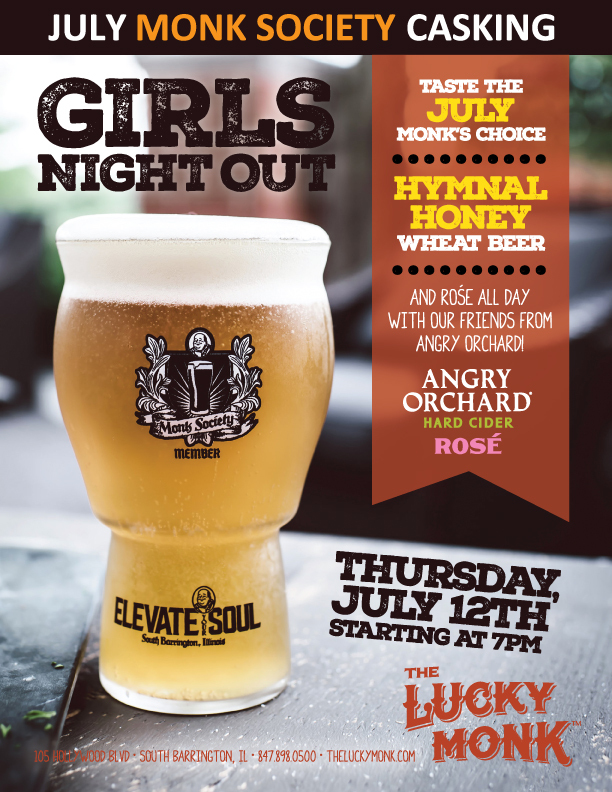 The Perfect Patio Beer has Returned on Tap.. Only at The Lucky Monk! 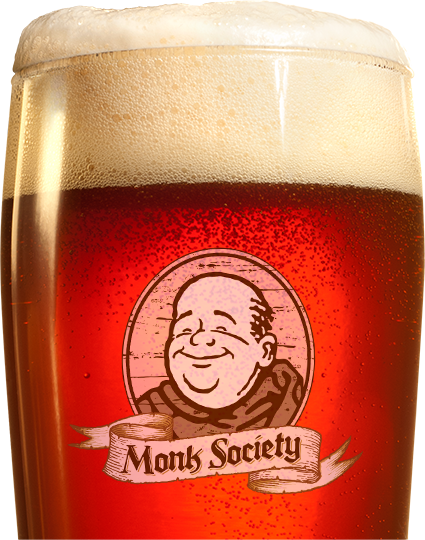 Originating from the monasteries in the Middle Ages , revived by the Lucky Monk himself!